Meet Movember Young Investigator, Jeff Holst. Jeff’s a 7 year Mo Bro and has made an important discovery in the field of prostate cancer research. We sat down with Jeff to find out more about science and his ginger Mo. 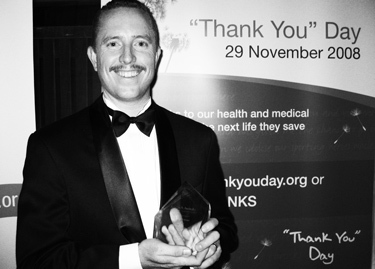 Movember: How did you get into prostate cancer research? Jeff: The simple answer to that is thanks to the PCFA and the Movember Foundation. I started out as an immunologist and in 2006 really wanted to get into cancer research, potentially prostate cancer. I ended up getting funded by the Foundation. Without the funds from the Movember Foundation I wouldn’t have gotten into prostate cancer research. Movember: Tell us a little bit about what you’re working on right now. Jeff: What I’m working on at the moment is trying to understand how nutrition and prostate cancer are linked. There’s a high rate of prostate cancer in the western world, however not as much in Africa and Asia. We wanted to try and find out what’s happening in cells that might be triggered by nutrition, or what we eat. Movember: Talk us through your latest prostate cancer research breakthrough? Jeff: We’ve known that cancer cells are different to other cells in the way they obtain nutrients but we hadn’t figured out how to use this knowledge to target them. A cancer cell has gained an ability to rapidly grow and take over the normal cells. A cancer cell is like a teenage boy, they’ll eat you out of house and home. The cancer cell wants to grow more, to grow it needs more nutrients and to do that it needs more nutrient ‘pumps’. We’re trying to starve the cancer cell by blocking those pumps. If we do this right it shouldn’t affect the normal cells. Movember: What does this mean to men who might be battling prostate cancer? Jeff: Right now we’re trying to understand how cancer cells adapt to current therapies as sometimes advanced prostate cancer doesn’t respond to current therapies. We’re hoping to design new therapies that might come in and stop cancer growing at the later stage. Every therapeutic breakthrough starts with a research breakthrough. 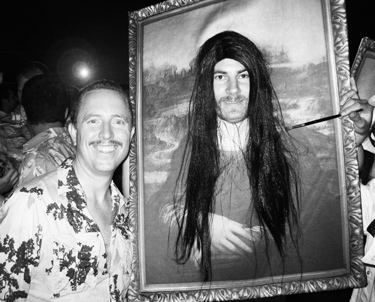 Movember: You’ve sent us through some classic Mo photos. Talk us through your Movember journey over the years. Jeff: I’m not a hairy man and I remember the first Mo I grew was fairly lame. Also my Mo is red, and I’m not a red head, so I cop a lot from the crew at work. Rightly so as I think I look a little creepy with a Mo. I first grew a Mo in 2007 and the next month I got Movember funding! Movember: We’ve got Mo Mentors such as the big Dipper and Max Walker. How does it feel to have become a mentor yourself? Jeff: It’s been an interesting process, particularly in science there’s a very big mentoring component. We always have supervisors and mentors helping us and now I’m a mentor as well. One of the challenges for me is when do you step back and when do you let someone go. You always want the best and then people surpass you and do better. It’s a big responsibility and you have to be a bit selfless. One of the guys I’m mentoring is Kevin Wang who is now a Movember Young Investigator and it’s great to see him getting his own funding. Can’t wait to see how this important research can lead to helping blokes who are suffering from prostate cancer. Mo on, mate. For more on the Movember Young Investigator Grants check out the report card.